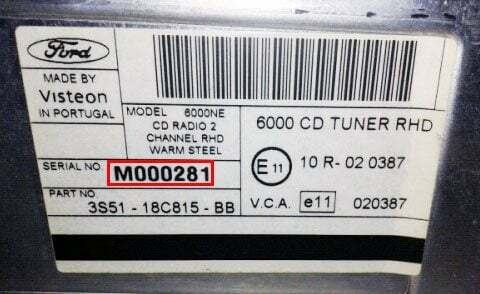 Your "M" radio serial is located on the radio label on the top or side of the unit. 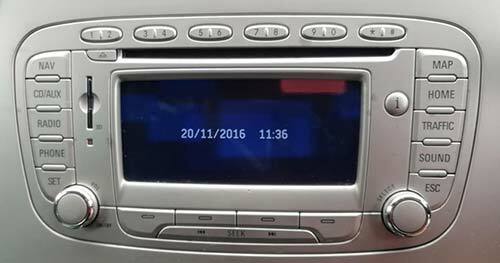 After holding 2 & 6 down your radio will show sequences of numbers, your radios serial number will only begin "M" followed by 6 digits only. If pressing the preset buttons 2 & 6 did not show the information needed to unlock you radio. Removing your radio with radio release keys is required to get access to your serial number. Radio release keys are very cheap and can be purchase at a local Halfords or online from Amazon. When your radio is removed there will be a label that looks similar to th example shown, The serial number will be printed on this label.